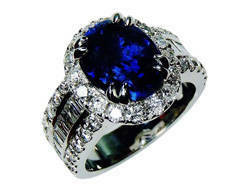 Sapphire Ring cosells Ceylon sapphire rings & carries an extensive range of blue Ceylon sapphire custom ring settings at wholesale prices all are natural and genuine ladies sapphire rings. 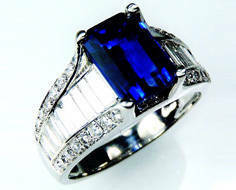 In our listings you will find a full selection of white gold and platinum natural sapphire engagement ring setting's. They range from classic Royal Ceylon blue sapphires to rich pinks and soft yellow sapphire rings, as well as natural certified sapphire wedding rings. Sapphire Ring Co's collection of custom and one off saphire and diamond ring settings are matched with some of the finest earrings sets with genuine natural sapphires and diamond pendants. Sapphire Ring Company carries a wonderful selection of natural earth mined sapphire rings with a classic halo of diamonds set around both of our "Signature Rings". This selection of unique rings in white gold to platinum are perfect for engagement and anniversaries. These rings can be ordered to carry any cut of sapphire. Here in our listings, you will see some of our finest natural sapphires set into our signature rings, from the classic blue oval cut natural sapphires, to the popular blue cushion cut natural sapphire. Our Signature collection of custom rings can be ordered in your choice of gold metal colors, either white gold, yellow gold or even rose gold. The choice is yours or you may find a Platinum ring setting preferable and one which is rapidly becoming the popular choice for a majority of our signature natural sapphire ring buyers. All of our sapphires are earth mined 100% natural sapphires with a wide selection of natural unheated and untreated sapphire rings to choose, from the classic blue unheated sapphires to the rich yellow and pink unheated sapphire ring's. The Sapphire Ring Company Signature Ring shown here is in platinum and set with a halo of diamonds around the natural Ceylon sapphire, with baguette diamonds on the ring shoulder, accompanied by the brilliant round cut diamonds acting as a border on both sides. 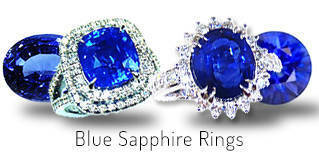 At Sapphire Ring Co,we pride ourselves on having the finest sapphire rings & natural sapphire jewelry available. We carry one of the largest collections of white gold and platinum natural and certified blue sapphire ring's to be found in the market today. All of our sapphires are real genuine certified sapphires, with most being certified by the Gemological Institute of America (GIA). We take great pride in helping you find a truly unique and special piece of jewelry. The Sapphire Ring Company Princess Signature Ring is set in platinum with a classic halo of diamonds around the oval cut sapphire as well as having the samee diamonds set down the side of the single ring band. 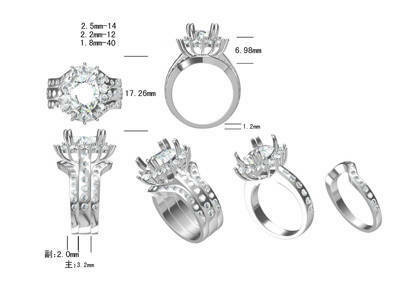 We offer both of these ring designs in your choice of metals from white gold to platinum. Or you may prefer to have the traditional Kate Middleton style ring with a plain 18 kt white gold band - the choice is always yours. 2.24 ct emerald cut Ceylon sapphire set into Sapphire Ring Co custom platinum baguette diamond ring set 1.00 ct's of 18 baguette and 40 round brilliant cut diamonds. This classic rig design can be made to carry any cut sapphire and carat size. This is a "CAD" drawing of our signature princess ring set with two wedding bands on each side. When Prince Charles privately proposed to Lady Diana, he sent for a selection of rings from " Garrards of London " ( The Royal Jewellers ) for Lady Diana to choose from. The Jeweller arrived at Buckingham Palace with several trays of diamond ring settings, many of which where priceless. 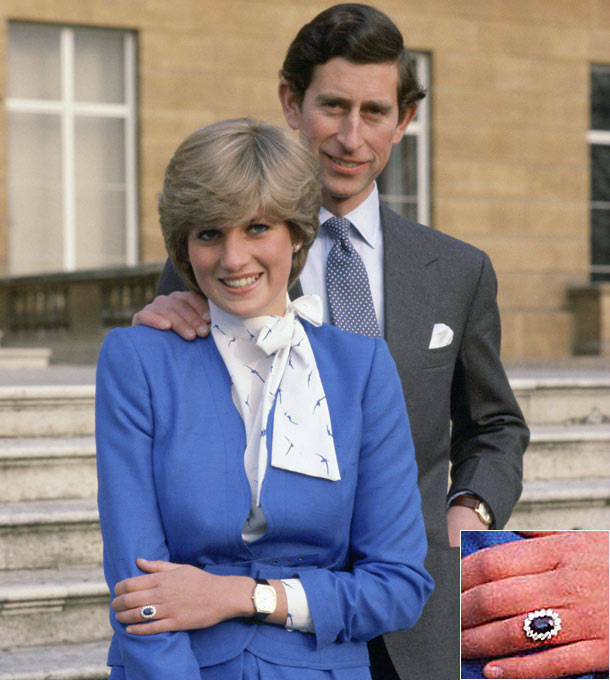 Lady Diana, after browsing through many diamond rings, set her eyes on an 18 ct oval blue Ceylon sapphire & diamond ring , the setting was surrounded by a halo of diamonds valued at that time 35,000 Pounds or then $60,000. Her choice came as a surprise to Prince Charles as well as surprising the Royal Jewelers, who thought the soon to be " HRH Princess Diana " could have chosen one of the finest of diamond ring settings. Today sapphires have being the most sought after gem stone for engagement rings outside the diamond and dates back hundred's of years both with the British Royal family as well as Royal families all over Europe. On the death of the late Princess Diana, the ring was inherited by Prince Harry. Prince Harry believed that this ring should be worn by the future Queen of England and just before Prince William was leaving for a trip to Kenya with plans to propose to Kate Middleton, Prince Harry generously gave the ring to his brother. Prince William carefully kept the ring in his backpack, before finding the right moment towards the end of the trip to ask for Kate Middleton's ( now Duchess of Cambridge ) hand in marriage on the foot hills of Mount Kilimanjaro, Kenya. Sapphire Ring Co platinum " Princess Signature ring " set with a natural blue oval cut Ceylon sapphire with a halo of diamonds set around the main sapphire as well as the same diamonds set on both side of this ring band. History on Natural Sapphire Jewelry from Kings to Emperors. Sapphires have being honored and cherished for thousands of years from Kings and Queens to Emperor's and High Priests across all religions and cultures. It is believed that sapphires bring prosperity, wealth, wisdom and health to the wearer of these fine gem stones and today are recognized for symbolizing truth, sincerity, and faithfulness. The Royal linkages can still seen today, where many of the finest stones are to be found in the collection of sapphires and rubies set into the Royal Crowns, necklaces and earrings, as well as being the first choice for engagement rings for royalty. 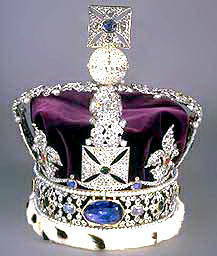 The Imperial State Crown of Britain with St Edward’s Sapphire from Sri Lanka (Ceylon). According to records this sapphire dates back to 1042 making this one of the oldest sapphires in the British Royal Crown Jewels and gives some indication as to why sapphires and rubies are an excellent choice for engagement and anniversary rings. The Sapphire Ring Co carries an exclusive range of natural sapphire rings perfectly suited for either engagement or anniversary gifts. 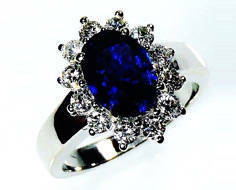 Please see our pages to view our full selection of natural sapphire engagement ring settings. Legend states that this Ceylon sapphire was originally set on a ring worn by Kind Edward who was famous for his generosity to the poor. One day, on his way to Westminster Abbey, he was met by a beggar asking for money. After the King had searched through his pockets, and found no money, he then gave his ring to the beggar. Many years later, two pilgrims returned the ring to the King. When the King inquired how they had managed to gain possession of his sapphire ring, the pilgrims replied that the King had given the ring to a beggar many years ago, but the beggar was actually disguised as "St John the Evangelist", and he had given a message to the pilgrims to thank the King for his generosity, and that he would meet the King in the heavens above. Please visit our pages on gemology laboratories as well as our page on the GIA, who today carry out over 95% of our reports along with our GIA G.G gemologist. Treating and heating a stone is a very involved process that can significantly change the original appearance as well as value of the rough corundum-sapphire that came out of the ground. By using very high temperatures in gas furnaces, these stones are heated for a period of up to 10 days at and above the melting point of the crystal (1800°C). Additives, such as lead glass and coloring agents, can be included in the heating process in order to fill in natural cavities, fissures and cracks in the sapphires. 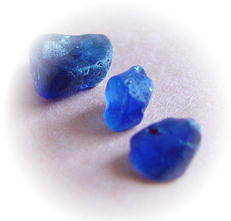 Coloring agents are then diffused into the heating process, and in many cases, the coloring of the sapphire is completely altered. Trying to determine what you are buying is now a scientific research project in most cases and this is why Sapphire Ring Co uses the Top Gem Laboratories for full gem stone identification and testing. 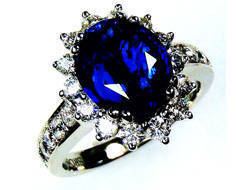 Sapphire Ring Cowill only sell 100% natural mined sapphires with no heat or gentle heat only. Naturally heating a sapphire at low temperatures has been a process which dates back thousands of years and helps improve the sapphires clarity and sometimes color. We always disclose this treatment and this is the ONLY treatment where a sapphire still retains its high value. Please note: Sapphire Ring Co will NOT sell sapphires which have being exposed to extreme heat,chemically enchased or diffused. Please read the small print if you are looking at buying any " natural Sapphire " which is normally hidden under " Treatments or enchasements " o buried inside the educational page's. Over 70% of sapphires sold today as natural sapphires have been enchased either chemically or with extreme heat using very low grade conundrum (sapphire) with little value and with many jewelers being unaware of these new treatments. The price difference for these chemically enchased or diffusion sapphires is enormous, the price for a diffused oval cut blue sapphire approximately 3 cts is around $50.00 per ct where as a natural gentle heat only natural sapphire can cost well over $3500 per ct depending on the color. Always ask for a independent laboratory report from a full laboratory. 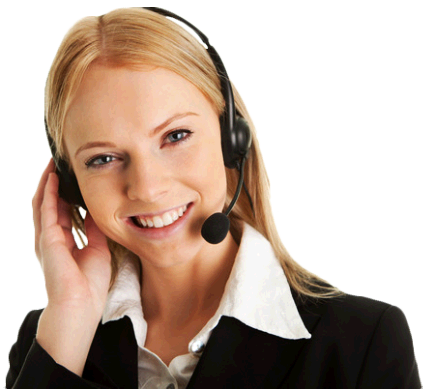 If they are unable to provide this service please contact us and we will be happy to help. Even if the sapphire is chosen from another company, we are happy to provide this service so you know you are buying a 100% natural sapphire. You will be surprised at how many of the large on-line jewelry companies offer sapphires as "Natural", which are actually enchased by diffusion or chemical treatments. All our reports are through the GIA. Please read about our laboratories both here in the US as well as overseas, under our Sapphire Education pages. 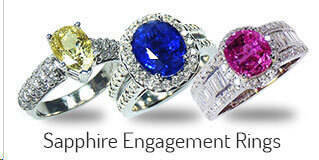 Please contact us at Sapphire Ring Company or our GIA G.G Gemologist with any questions on sapphire "Treatments". Please always ask for a independent Gemology Laboratory report from a recognized laboratory before buying any natural sapphire ring, today honest jewelers do not have the equipment to test for today's treatments for counterfeit sapphires and rubies. 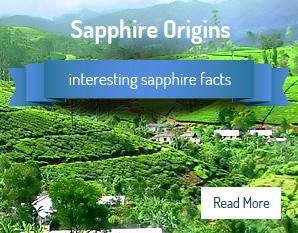 Please see our pages under Laboratories or contact us with any questions on natural sapphires. Sapphire Ring Company carries a wonderful selection of natural sapphire rings with the classic halo of diamonds set around both of our "Signature Rings". This selection of unique rings in white gold to platinum are perfect for engagement and anniversaries. These rings can be ordered to carry any cut of sapphire. Here in our listings, you will see some of our finest natural sapphires set into our signature rings, from the classic blue oval cut natural sapphires, to the popular blue cushion cut natural sapphire. Our Signature collection of custom rings can be ordered in your choice of gold metal colors, either white gold, yellow gold or even rose gold. The choice is yours or you may find a Platinum ring setting preferable and one which is rapidly becoming the popular choice for a majority of our signature natural sapphire ring buyers. All of our sapphires are earth mined 100% natural stones with a wide selection of natural unheated and untreated sapphire rings to choose, from the classic blue unheated sapphires to the rich yellow and pink unheated sapphire ring's.